Mary Jemison was born on a ship from Ireland to America in 1743. Twelve years later the family farm was raided by a Shawnee war party. Mary's parents were killed and she was taken prisoner. Mary was sold to the Seneca tribe and was treated well in her new home in the Genesee River Valley. Mary Jemison married Hiokatoo, an Indian chief. The couple had four daughters and two sons. Mary witnessed the execution of Lieutenant William Boyd and her husband was involved in the Cherry Valley Massacre (1778) and the torture of Colonel William Crawford in Sandusky (1782). 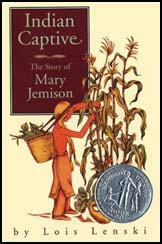 James E. Seaver interviewed Mary Jemison and her story was published as A Narrative of the Life of Mrs. Mary Jemison in 1824. Mary Jemison died in 1831. One thing only marred my happiness, while I lived with them on the Ohio; and that was the recollection that I had once had tender parents, and a home that I loved. Aside from that consideration, or, if I had been taken in infancy, I should have been contented in my situation. Notwithstanding all that has been said against the Indians, in consequence of their cruelties to their enemies - cruelties that I have witnessed, and had abundant proof of - it is a fact that they are naturally kind, tender and peaceable towards their friends, and strictly honest; and that those cruelties have been practised, only upon their enemies, according to their idea of justice.